Breastroke, but I’m a distance swimmer at heart. 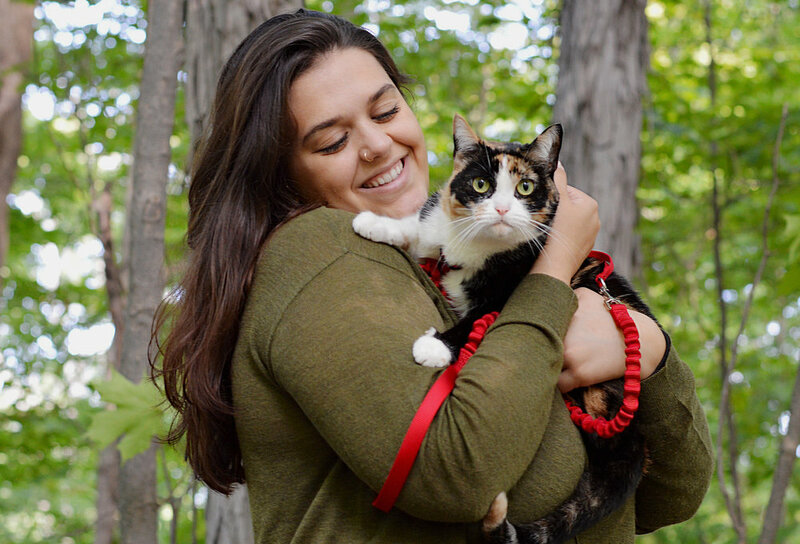 For the past year I have volunteered for an animal rescue that specializes in cats, and have 3 kitty babies of my own. I often watch shows in different languages and sometimes even pick up a few new words. Speaking of different languages, my phone, computer, and t.v. subtitles are all always in Spanish. My fireplace burns 24/7 once the weather drops below 50 degrees, I hate being cold! I’ve been practicing yoga for about 4 years, but also enjoy lifting weights, and of course, swimming! Yoga is for babies too! I began my swimming journey in the early 2000’s by taking swim lessons at my community pool, and in 2008, I joined my first competitive summer recreation swim team. From 2009 - 2013, I swam competitively for North Olmsted High School. During that time, I was also a swimming instructor for my local pool. I graduated from John Carroll University in May 2017 with a degree majored in Classical Languages and minored in Spanish. After teaching from 2009-2016, I was lucky enough to be hired on as a coach for Liquid Lifestyles. Liquid Lifestyles’ lessons are unlike any lessons I have ever taught before. The program is absolutely amazing, and the children I coach quickly become proficient in their swimming skills. My expertise with Baby Bubbles 1 and 2, as well as Liquid Bubbles 1, 2, and 3 curricula makes it simple for me to see the importance of each skill. My classes are filled with fun and energy to encourage children to be comfortable and enjoy their time in the water! My mission is to help children grow in confidence for both swimming and everyday life. I love encouraging swimmers to challenge themselves and believe in their own capabilities. The progression of an anxious beginner is one of my favorite things to witness. 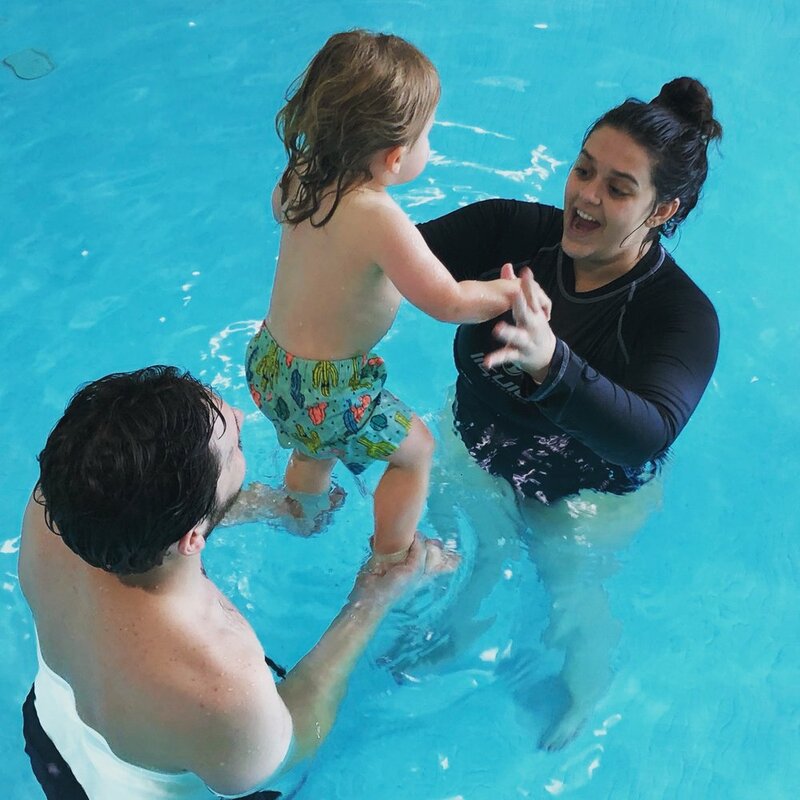 To see a child who might have spent the first two lessons crying come to the third lesson with a smile on his or her face and an eagerness to swim is thrilling! If you are interested in lessons fully in Spanish, or lessons that incorporate learning Spanish, let me know! I love combining my passion for languages with my passion for coaching. I would love the opportunity to share my passion with you. That “CLICK”. That moment the light switches on and everything falls into place. All the repetition, all the drills, all of the encouragement and then the payoff. The moment a young beginner final “gets it “ finally puts the pieces together and swims on their own is a magical moment. For some the moment comes quickly and for others it takes a bit longer. One thing is certain. There is always that moment. I consider myself lucky that I get to be there, in the pool, to witness that magic over and over again. To be able to teach a lifelong skill to a child and know that skill will last a lifetime is a wonderful gift. I remember my very first private lesson with Mrs. Olie Olson in Athens, Ohio. I was four years old and smitten with Olie and instantly hooked on swimming. I took lessons every summer for several years. By the time I was 17 I had become a lifeguard and also taught my first private swim lessons. I will never forget that first lesson. I remember every detail. I was scared to death. The lesson went very well and by the end I could not wait for the next one. I didn’t realize at the time that I had just found my niche. After being severely injured in an automobile accident I was looking for something I could do part time to keep busy. 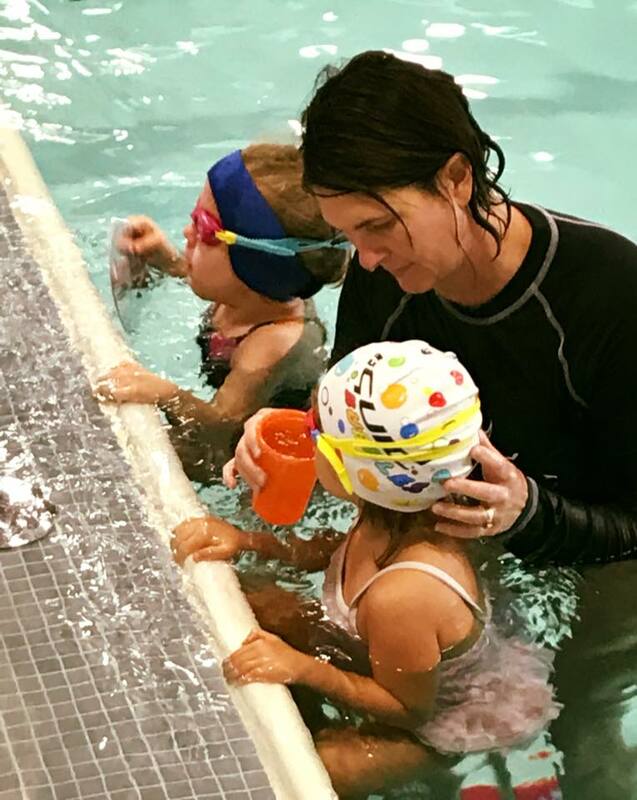 I thought about my own children’s swimming lessons and reflected on how I knew I could do it better than their instructor. That was the answer, the “ah ha” moment. I would start teaching swimming again. It took awhile for me to get going but once I developed my method, business really took off. That was in Florida. I have since relocated twice. From Florida we moved to Wisconsin and from Wisconsin back to Ohio. All the while continuing to teach swimming. This is what I do. This is my passion. I received my TI coach certification in 2014, it was the completion a goal I’ve had for many years. Upon researching the Total Immersion methods I realized that I had been using many of the same concepts in my own instruction. However, I never really sought to better my own swimming, I just swam laps, never consistently working to improve my own skills. With TI I have become a better, more efficient, more purposeful swimmer. Striving for self-improvement and learning new skills has certainly bettered me as an individual and reignited my passion for teaching. Director of a Daycare and Director of education for an after school learning program. Breaststroke. I swam it, all 3 of my girls swim it, and I love when it finally clicks for a new swimmer I am teaching it to. I have lived in Ohio twice, Indiana twice, KY twice, MI and MA. I did my first mile swim when I was 8. "My goal is not to be better than anyone else, but better than I used to be." "Everything you ever wanted is on the other side of fear." I love swimming. I love everything about it...teaching it to beginners, coaching it, watching it, and especially cheering for my three daughters, that all do it competitively, and cheering for all the great swimmers I've had an opportunity to work with and see at meets throughout the year. Swimming has always been connected to the best friendships I've had. Lifelong friendships that started when I started swimming at age 6, friendships with former swimmers I've coached, and adult friendships that started sitting at a pool watching our kids compete. I truly love teaching kids to swim and feel blessed I get to do what I love everyday!